Most of our dinner reservations were made with recommendations from The Annoyer who has been to Maui now 6 times. But Migrant was a place of my choosing based on Yelp and Top Chef. The chef/owner here is none other than winner of season 10, Sheldon Simeon, the surprise dark horse who shocked many by taking the title. The restaurant is located inside the Marriot hotel in Wailea. 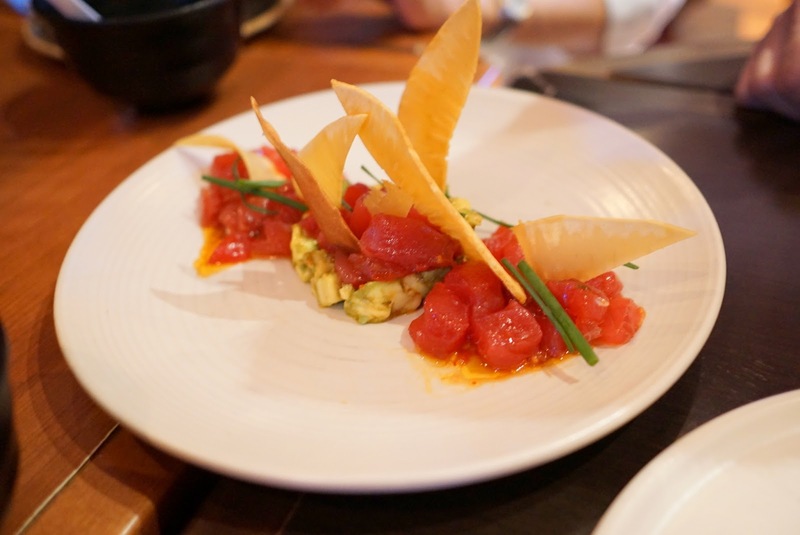 The feel of the restaurant is more contemporary than most of the other well established Maui eateries we tried on our trip. The menu is also more modern being family style/shared small plates. This is usually my preferred way to dine because it allows you to try more options with a larger party. 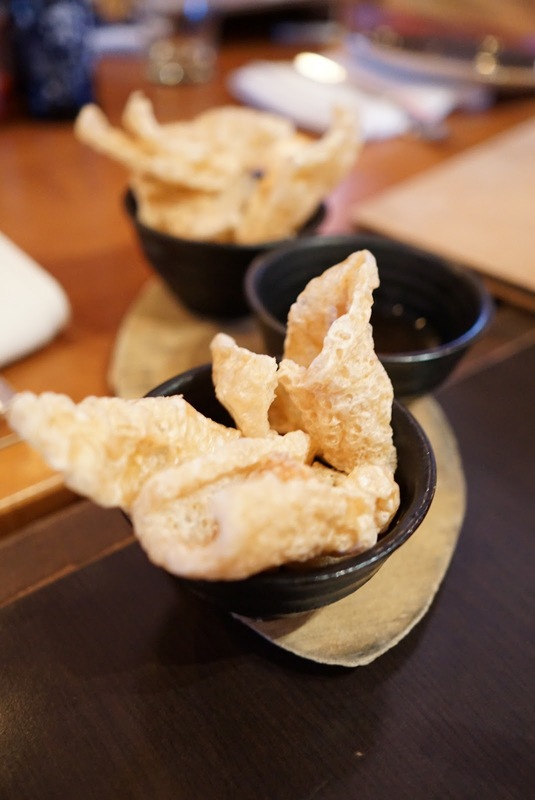 The complimentary chicharones we’re a a very rich complimentary starter in place of your traditional bread. It came with a vinegared soy sauce. I didn’t really like it. They were good on their own. The carrots came highly recommended by our waitress but I didn’t see the appeal. 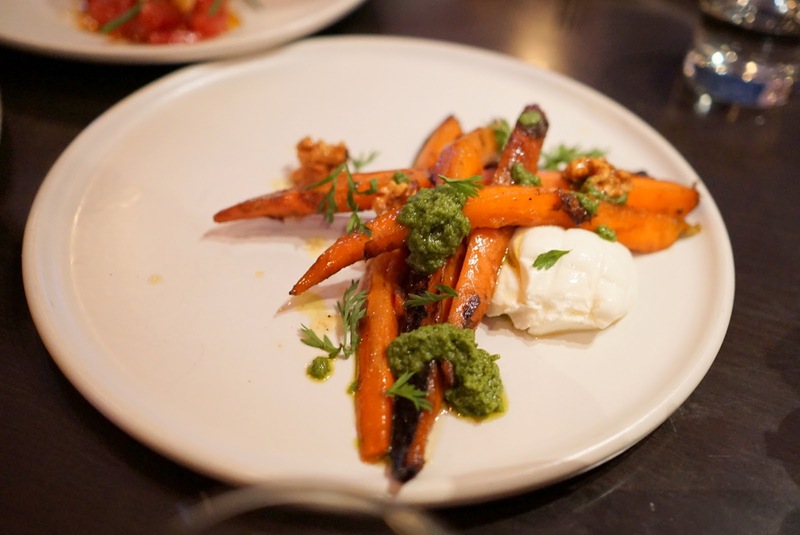 I didn’t think all the flavors of candied walnuts, burrata, pesto, and carrots went well together. Nothing bad here, just not my favorite. 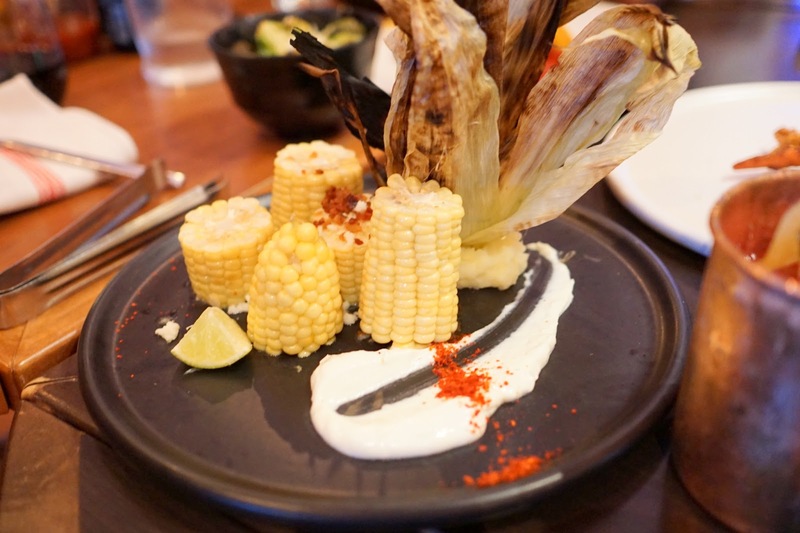 The corn was tasty, but I didn’t really pick up on the notes of bacon, miso, or lime. Everywhere we went, The Annoyer had to have ahi tuna. I won’t deny that the ahi in Hawaii tastes remarkably fresher than the main land, but I can do without every meal involving tuna. I thought the ahi was nice, just lightly marinated. I’m not sure what was special about that olive oil but I didn’t pick up on it. 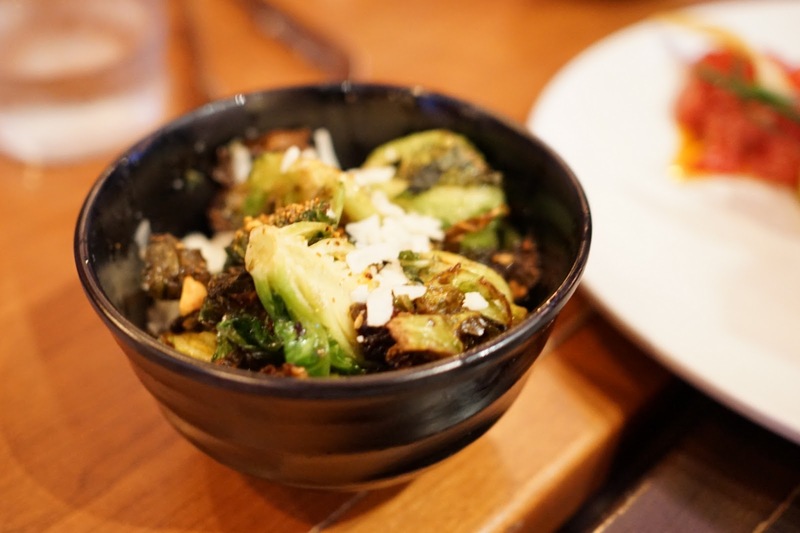 Yelpers loved the fried Brussels sprouts, which had some good char and good crunch from not being ovecooked. But the flavors were just a little too light for me. The Flatulent Snorer said it was one of the best Brussels sprout dishes he’s had. I wouldn’t go that far, but it was a generally good starter. 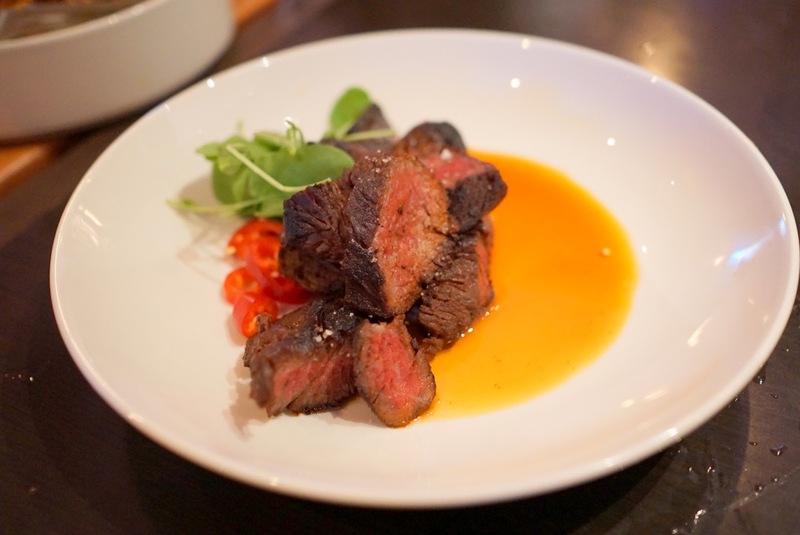 The hanger steak was a nice medium rare. The seasoning was definitely Vietnamese inspired so obviously gets good marks from me. 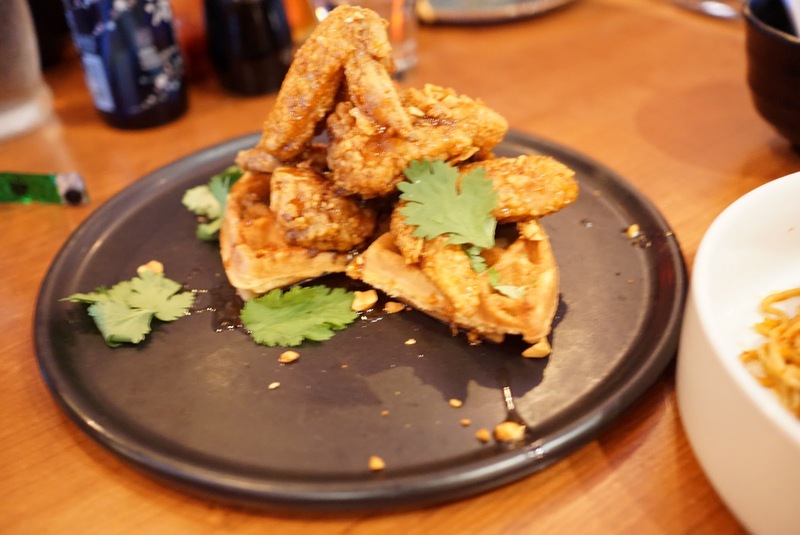 The wings were crunchy and sweet, but I didn’t have much space to appreciate the waffle with umami butter. These two dishes were highly recommended to pair, but I really did not see why. 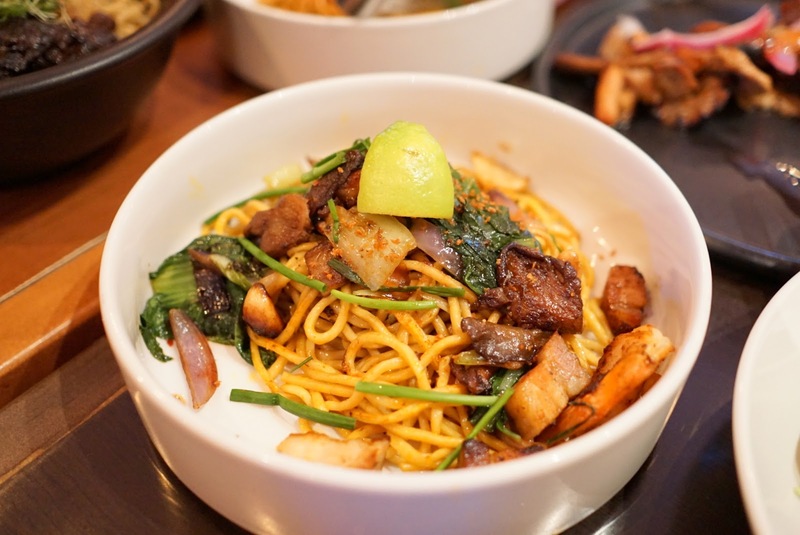 The noodles weren’t that garlicky or flavorful as Yelpers had raved. They were a bit on the spicy side. The pork was on the sweeter side, but just ok. I probably would not order these two dishes again. Sheldon did the best job with the remaining noodle dishes. I’ve never had a tastier pancit. Then again, I’ve only had pancit one other time and I thought it was one of the most horrible and mediocre dish ever. This was totally the opposite. The noodles were al dente. 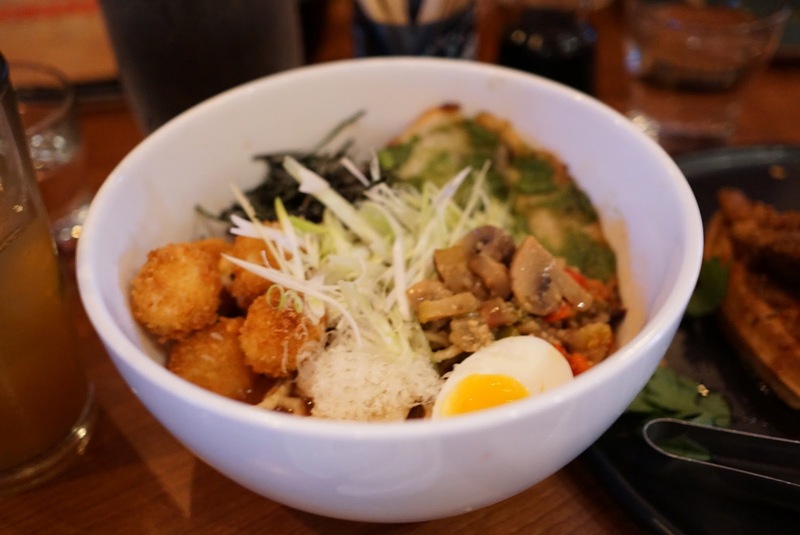 The flavor had plenty of umami and acidity. I think that’s what makes pancit different from your regular Chinese style pan fried noodles. Some use of vinegar or lime gives it a unique kick. The pork belly, shrimps, and veggies rounded out an excellent dish. 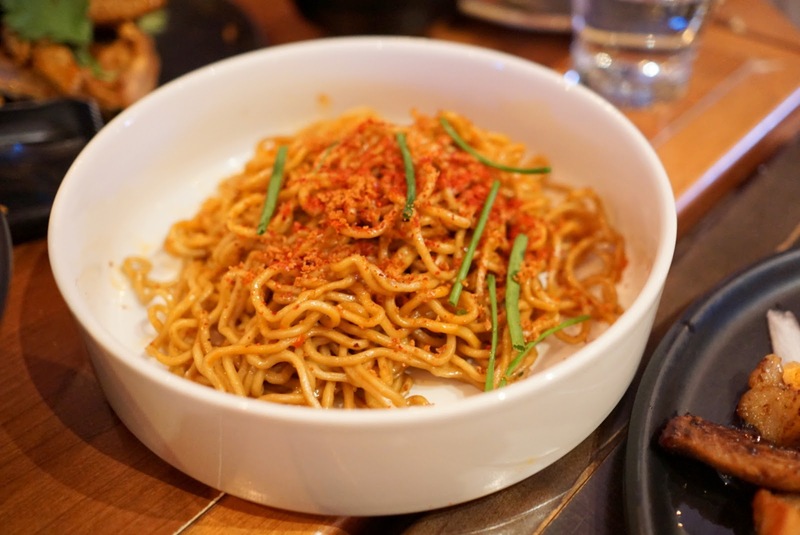 Most of the dishes were pretty flavorful, so this noodle dish was a surprising change. The French onion soup inspiration was tasty yet subtle. 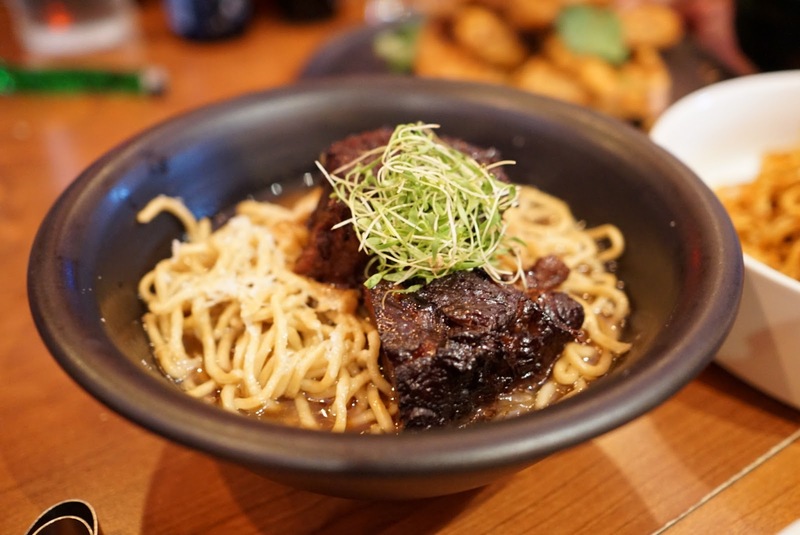 The addition of a big hunk of juicy short ribs makes me wonder why nobody has thought of this before. And adding noodles? Genius. This was 3SB’s favorite dish of the night. This was my absolute favorite dish of the night, hands down. The name of the dish obviously hints to the generation in which Chef Sheldon grew up in, so I thought it was kinda cute. The broth base was described as dashi, but it definitely had some essence of tomatoes because it had some bright acidity to it that isn’t normally found in plain dashi. You all know how much I love anything tomato. The dish sounded pretty complicated otherwise, but I assure you it was nothing but harmony in my mouth. It’s definitely not like anything you had before. This one totally deserves a Yums! It was a special for the night, but I hope they add it as a regular menu item. 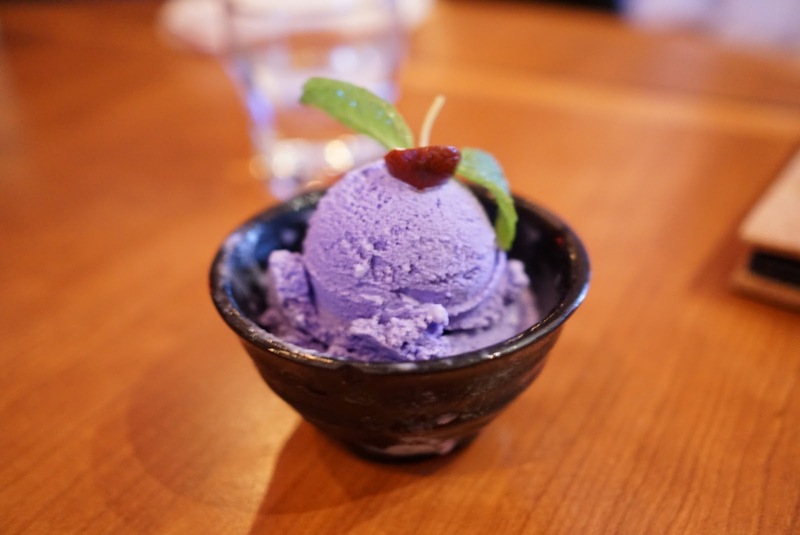 While The Annoyer and myself are not huge fans of taro anything, we and the whole table quite enjoyed this one. Frow Bo seemed particularly tickled by the the creamy smooth sweetness of the ice cream. None of us had tasted anything like it. Winner! These are special pies that are only made in Maui. The base of the pie is made from breadfruit, which honestly is more like a potato than a fruit. 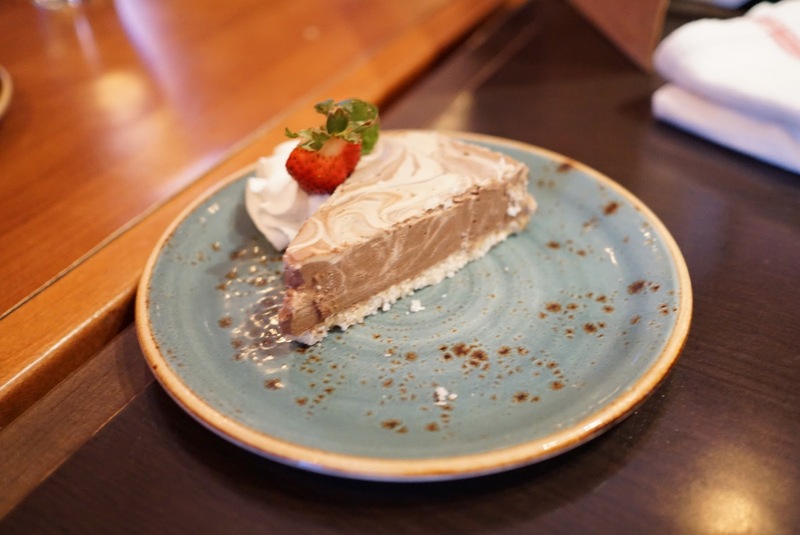 The crust of the pie is made from a variety of nuts including kakui and macadamia nuts and coconut. 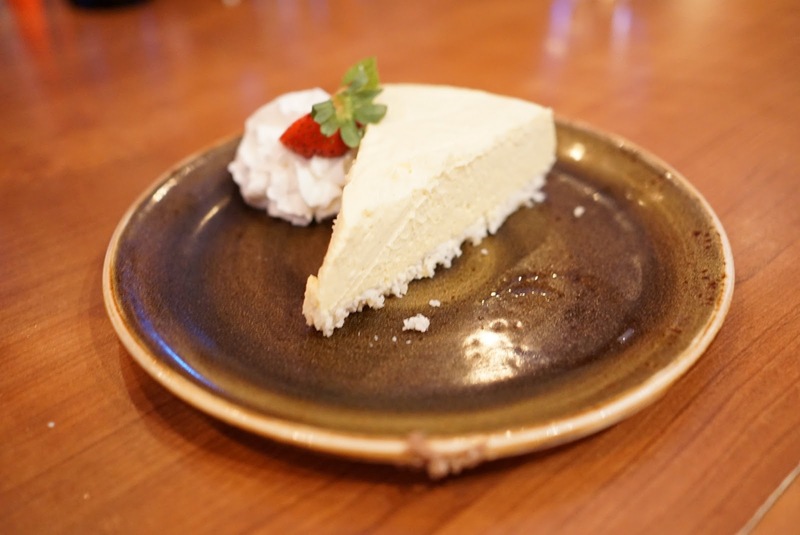 It was likened to cheesecake in texture, but the pie is completely dairy and gluten free. This was probably my favorite of the lot since I love passion fruit. It wasn’t overly sweet or tart. This was like a sweet potato pie, but purple. The coffee and chocolate notes were fairly subtle here, which I appreciated it. Overall the pies were interesting and unique. I’m glad I got to try something unique to Maui, but all 3 flavors and the ice cream was a bit much. Thanks to 3SB for killing us on the dessert course. Migrant did a fantastic job fusing more typical Asian flavors with the more unknown Filipino ones. The food was the most unique stuff I had on the whole trip and I might call it my top restaurant pick for Maui. I know I’ll have many people who disagree with me, The Annoyer for one. But I appreciated the more contemporary menu with the small plates, and the unique flavor profiles. I can tell Maui is a place that hoards of people revisit often, so the island is filled with well established joints that cater to a population that “likes what it likes.” I’m looking at the geriatric crowd here. 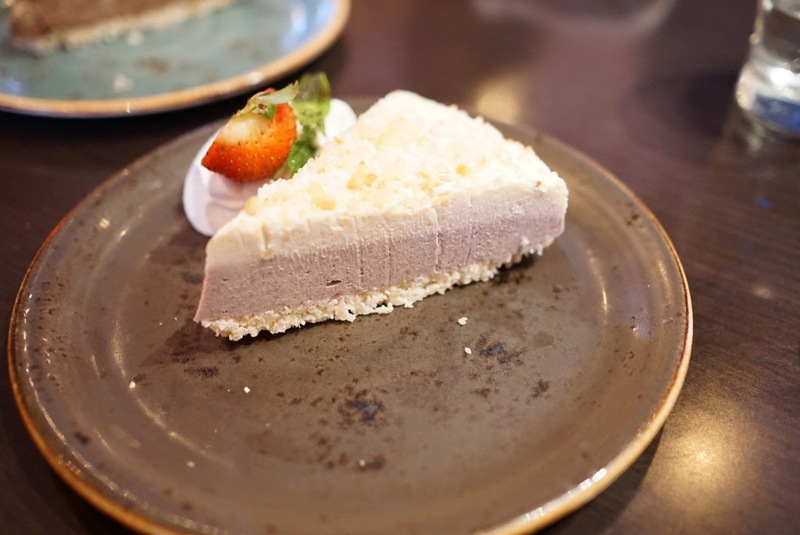 So Migrant is definitely a departure from the typical Maui food scene of tuna this, coconut that, macadamia nut whatever, and pineapple who-knows-what. You’re just not going to find anything like Migrant in Maui, or the mainland, from my experience. 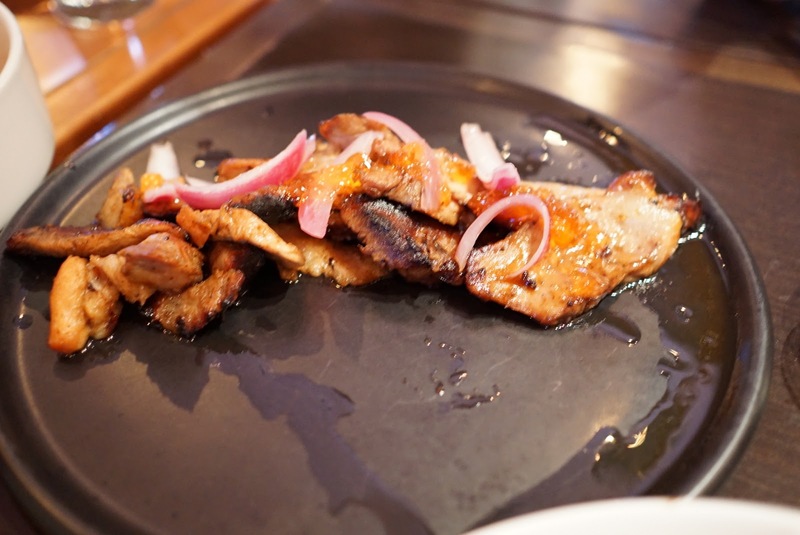 It’s probably because Filipino food has not achieved the refined reinvention that many of the other Asian genres have experienced. Obviously not ever dish was a stellar knockout, but I really appreciated what Sheldon is trying to achieve at Migrant. Maybe he really did deserve to win Top Chef after all.